Vipdesk Connect Review: A Real Opportunity to Work from home, or not? The great thing about the United States, is that there’s so many different types of legit work from home opportunities (excluding the scams). This means, if you have the right skills, along with the right mind set, you could easily earn a lot of money from home. Here we have another work from home opportunity, that we are going to discuss in detail. 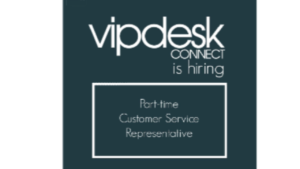 This online opportunity goes by the name Vipdesk Connect. 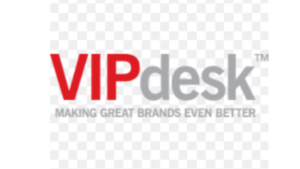 Vipdesk connect, formerly known as Vipdesk, is nothing more than an outsourced customer service company. You can earn money from home, by becoming one of the company’s virtual representor. You can earn money online by providing customer services to it’s various companies. The company seems to offers good pay, with benefits. But let’s see whether this company is worth giving a try or not. We will also look into the pros and con’s of working with this company. What is Vipdesk Connect, and how does it works? Vipdesk Connect is a company that provides work at home opportunities, to seeking individuals. The company earns it’s revenue through outsourcing customer service’s. An outsourced customer service providing company, train’s and hire employees, to fulfill the customer service demands of other companies. So, as an employee of Vipdesk Connect, you will become it’s virtual customer representative. You will be providing customer service’s to it’s assigned companies. Although you would be working for these companies, you will be trained, hired, and paid by Vipdesk Connect. AZ, CO, FL, GA, IL, IN, MD, NC, NJ, NM, NV, OH, TN, TX, UT, VA, and WI. To work for Vipdesk Connect, you will be required to have a computer, home office (separate room or cabin), headset. You will also need a good internet connection, with a minimum downloading speed of 2.5 Mbps, and a minimum uploading speed of 1 Mbps. You will be required to have a DSL, or cable connection. Wireless connections are not allowed. The business model of this company is quite simple. Vipdesk Connect hires employees and trains them to work for various client’s. It generates revenue through providing quality service’s to various companies, and pays it’s representatives from that money. 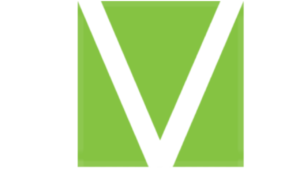 Vipdesk Connect was founded in 1997. It started as an independent outsourced company service. In 2010, the company merged with International SOS, to become it’s subsidiary. Then, it successfully became it’s own corporate entity in 2014. It focused on strengthening it’s position as the premier provider for premium, and luxury customer care. Vipdesk Connect is expected to quickly enhance it’s operation service’s over many states in the future. 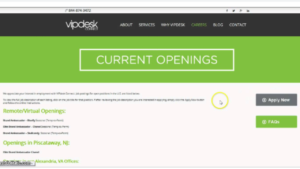 Vipdesk pays approximately $10 per hour which I would consider okay pay, for those starting off working from home. The company offers part-time, as well as full-time job opportunities, so you can work according to your preference. It uses time tracking software to calculate your dues. The payments are made every two weeks through direct bank deposit. Paid training: Vipdesk Connect does not train its employees without pay. It pays it’s employees for the hour’s they put in training. That’s a very good thing about this company. Unlike other online companies, Vipdesk does not train people without paying them. That’s especially great for the people who cannot afford to train, or do anything without pay. Well-reputed company: Vipdesk Connect is a 21 years old company. It’s well-connected with reputable corporate businesses, including International SOS. Moreover, it has earned good reviews from the people who have worked with this company. Thru my research, I’ve found that most of those people seemed to be very satisfied. Well-paying company: When compared to other work at home opportunities, Vipdesk Connect pays well to it’s representatives. On average, you will be earning $10 per hour. So if you are ready to put in enough effort, the money’s waiting for you. Good payment method: Vipdesk pays you thru direct bank deposit. Some companies pay you thru a mailed a check, which isn’t a good thing and could take time. It could take over a week for your check to arrive, and days for your check to be cleared by your bank. With Vipdesk, you don’t need to worry about this. Your money will get transferred to your account, in a timely fashion. Residency limitation: Vipdesk Connect only hires from 17 state’s in the US. People from other state’s can’t apply for these job positions. Although it is good for the company to limit itself to maintain the quality of service, it is still a con that a large number of people can’t apply for a job because of their location. Setting virtual environment: To work for Vipdesk Connect, having your own personal office space, would be the first thing you would need. You would also be needing a computer, a headset with speaker, and a high-speed, non-wireless internet connection. All of this can be a bit costly, if you don’t already have it. Non-informative website: Vipdesk’s original website does not provide a lot of information about it’s payment details, it’s training, or schedules. It seems like there is some kind of secrecy going on with this company. Due to it’s lack of information, new visitors may consider it a scam. Unpleasant clients: As a brand ambassador in customer service, you may come across lots of impolite people. Therefore, this job wouldn’t be suitable for someone who’s extra sensitive. You would have to keep calm, and be polite at all times. Even in the case of an annoying client, you can’t lose your temper. 1 report of you having bad behavior, could result in immediate termination. This job wouldn’t be suitable for you if you consider yourself the hot-headed, or the sensitive type! Is Vipdesk Connect a scam? Vipdesk Connect is definitely not a scam. It is a well-reputed outsourced customer service company, that provides customer service’s to a variety of companies. It’s not a scam. This company is safe to work with. If you like to talk to people and are still interested in becoming employed as a customer service agent, you should give this a try. Having said these, Vipdesk Connect is worth giving a try. This is a great work from home opportunity that pays really well. Most of the people who have worked with this company have posted good reviews about them. You can safely work with Vipdesk Connect. Happy working at home!! Would you happen to have something to say about your experiences with making money using VipDesk Connect? Maybe something to add? If you do, please take the time and leave your comment at the bottom of this post. I would love to know what’s on your mind! Thanks for checking out my post, and good luck with all your success online! Are you tired of looking for work online? Check Out My # 1 Recommendation Now!! Cash4Gold: Make Good Money through Selling Jewelry, or Get Ripped off?